Hotels, Conference Centres, Boarding Schools, Restaurants and specialist shops. In January and February alone, we obtained contracts for nine additional business premises by demonstrating our levels of service and competiveness. We work in partnership with our customers to achieve successful results which enables them to maintain improved standards to their customers at affordable prices. EcoFresh is proud to unveil its new shopfront. Kent’s green household and commercial laundry in Paddock Wood is dazzling visitors and passers-by. Plenty of positive feedback as it brightens and cleans up the town with its fresh colourful branding and revolutionary ecological services. There must be something in the Wealden air, or perhaps there’s something in its water, but this year seems to have an ‘up the revolution’ feel to it. First there was Brexit resulting in the UK’s extraordinary decision to leave the European Union. 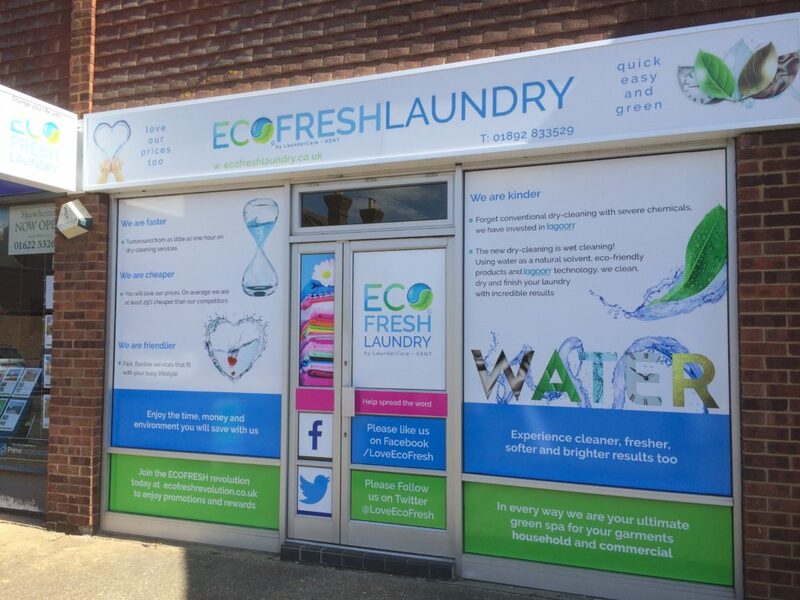 Now there is a campaign underway to get all households and businesses across Kent, that use chemical based dry-cleaning and laundry services, to ditch them and go ‘Eco’ for the sake of the environment and future generations. 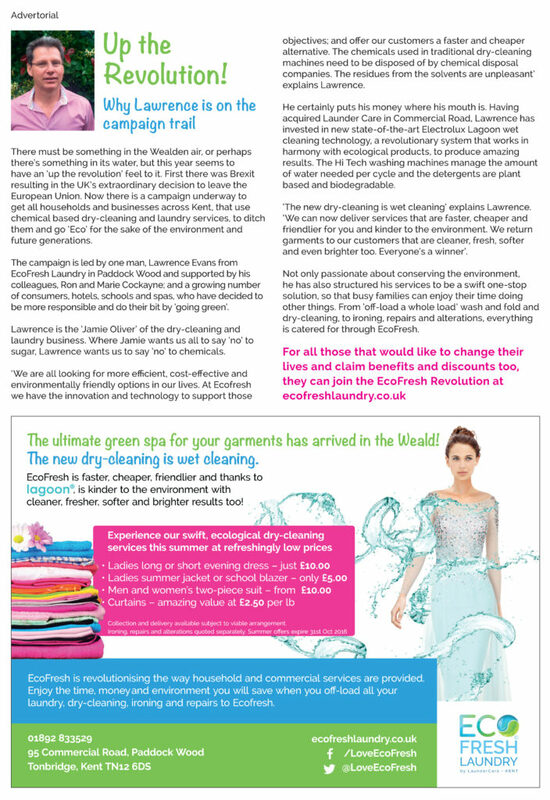 The campaign is led by one man, Lawrence Evans from EcoFresh Laundry in Paddock Wood and supported by his colleagues, Ron and Marie Cockayne; and a growing number of consumers, hotels, schools and spas, who have decided to be more responsible and do their bit by ‘going green’. Lawrence is the ‘Jamie Oliver’ of the dry-cleaning and laundry business. Where Jamie wants us all to say ‘no’ to sugar, Lawrence wants us to say ‘no’ to chemicals. ‘We are all looking for more efficient, cost-effective and environmentally friendly options in our lives. At Ecofresh we have the innovation and technology to support those objectives; and offer our customers a faster and cheaper alternative. The chemicals used in traditional dry-cleaning machines need to be disposed of by chemical disposal companies. The residues from the solvents are unpleasant’ explains Lawrence. He certainly puts his money where his mouth is. 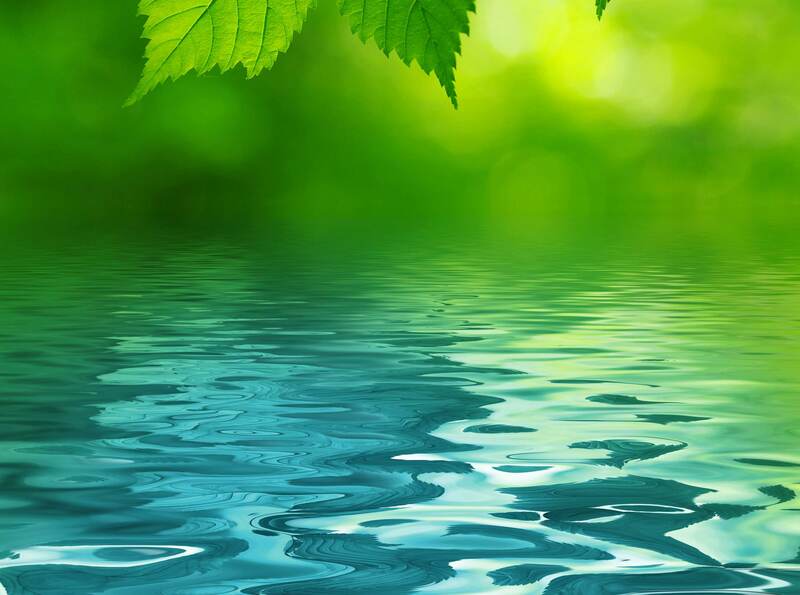 Having acquired Launder Care in Commercial Road, Lawrence has invested in new state-of-the-art Electrolux Lagoon wet cleaning technology, a revolutionary system that works in harmony with ecological products, to produce amazing results. The Hi Tech washing machines manage the amount of water needed per cycle and the detergents are plant based and biodegradable. ‘The new dry-cleaning is wet cleaning’ explains Lawrence. ‘We can now deliver services that are faster, cheaper and friendlier for you and kinder to the environment. We return garments to our customers that are cleaner, fresh, softer and even brighter too. Everyone’s a winner’. Not only passionate about conserving the environment, he has also structured his services to be a swift one-stop solution, so that busy families can enjoy their time doing other things. From ‘off-load a whole load’ wash and fold and dry-cleaning, to ironing, repairs and alterations, everything is catered for through EcoFresh.